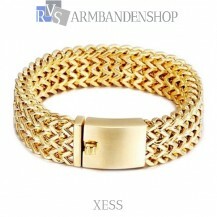 Rvs Gold plated armband "Xess". 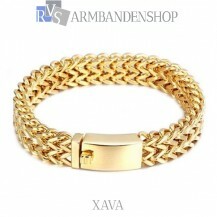 Rvs Gold plated armband "Xava". Rvs Gold plated armband. De armband is 22.3 cm lang en 12 mm breed en 4 mm dik. 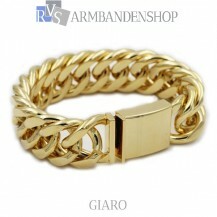 Rvs Gold plated armband "Giaro". Rvs Gold plated armband. De armband is 22.5 cm lang en 22 mm breed en 7mm dik. 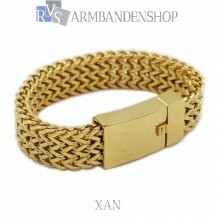 Rvs Gold plated armband "Xan". Rvs Gold plated dames armband. De armband is 22 cm lang en 20 mm breed en 5 mm dik. 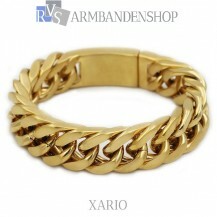 Rvs Gold plated armband "Xario". Rvs Gold plated armband. De armband is 22 cm lang en 16 mm breed en 7mm dik. 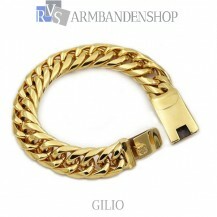 Rvs Gold plated armband "Gio". Rvs Gold plated armband. De armband is 21.5 cm lang en 17 mm breed. Rvs Gold plated armband "Gilio". Rvs Gold plated armband. De armband is 21.6 cm lang en 16 mm breed. Rvs Gold plated armband "Dyaz". Rvs Gold plated armband. De armband is er in 2 lengtes; 22 of 23 cm lang en 11 mm breed.